Lighten up, brighten up, sit down for some entertainment! 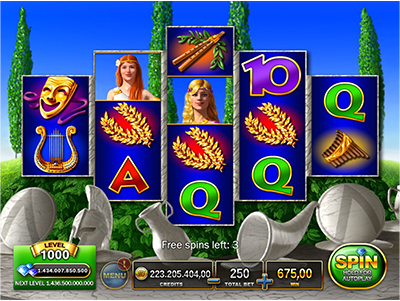 The actors of the Ancient Theatre are here to help you with amazing wins and wonderful bonuses! There are 144 ways to win big! 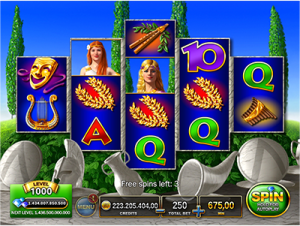 3 “Golden Trophy” symbols trigger this bonus. 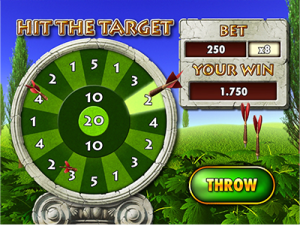 Click on the “THROW” button to release a dart. 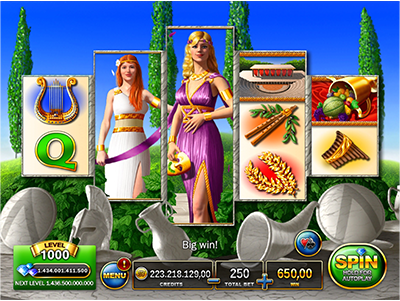 Hit the bullseye to upgrade the dartboard for higher wins. You have 5 darts in total.